They say, “A family that plays together, stays together.” Well, I agree. Make it fun. Whether you walk or run with your children in a jogger stroller, add a tag-along bike/carriage to your bike, play frisbee in the park, throw the ball around, kayak in a stream, or take a walk together after dinner…get outside with your children. I used to feel guilty for taking “me” time to exercise because it took time away from my family time on the weekends. But what I soon learned, was that when I take care of myself, I can better take care of others. Exercise fuels me for the day, makes me think more clearly, gives me direction for my day, makes me feel “strong” inside and out, and gives me more energy to get through even a challenging work or busy family carpool evening – not to mention what it does for heart and overall health. So if you don’t have childcare, your children are too young to leave home or aren’t in school yet, don’t let that keep you down. Find ways to enjoy the type of exercise you enjoy WITH your children. Even with young children you can stretch, do pilates or yoga on the floor, while they play or do a puzzle. You can lift weights while they stack blocks, and all the while, showing, by your actions, that taking care of yourself comes first. Your children will never forget that. For years before the birth of my first daughter, I took yoga a few times a week, only to have to stop after she was born, due to not having child care and not realizing I could do it at home. So when I became healthy again, I wanted to be able to do more WITH my children. I bring them to the beach near my home to play while I swim along the shore, and we get in some swimming fun too. I bring them to the trail near my home where I spend hours each week running, so they can ride along while I run. I bring them to the track to hang out in the infield while I run intervals along the track, and occasionally one will try to “beat” me in a 100 yard dash. A word from my now 12yr old daughter Alessandra, to all the parents out there: A teary eyed mom now types… “When I see you do something (finish a race or learn something new) that you believed in doing, it helps me believe that I can do it too.” On exercising or riding bikes together…”It really helps when you have someone with you, to encourage you.” This mother and father, will never stop our active lives together, and sharing that with our girls has become a true joy the past few years. If you don’t have children of your own.. borrow a neighbors, coach little league, volunteer with “Girls on the Run” or the Boys & Girls Club. No matter what you do, children are watching.. so you might as well be showing them what you WANT them to grow up doing, instead of what you Don’t want them to do! Find something you LOVE to do and share it with your kids. Health isn’t something we “do” each day. Health is a WAY of LIFE! Sharing that with children is what will keep them moving and creating health in their own adult lives, for years to come! ~Photos above: Jay and I running while our girls bike along side us on the Burke Gilman Trail in Seattle, so we can enjoy a 6 mile adventure together! 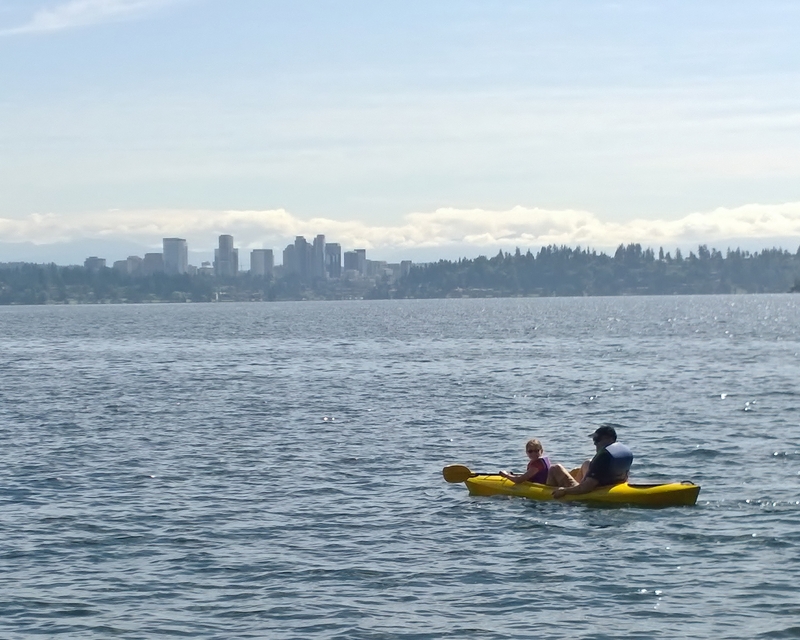 Jay & our 9yr old Bella kayaking on the 4th of July along side myself and several good friends, swimming across Lake WA together. EVERYONE deserves to truly LIVE ALIVE FIT! 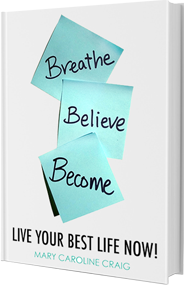 Thanks for reading and be sure to like our Live ALIVE Fit Facebook page and follow us on Twitter @LiveAlive_Fit. If you found this post useful share it on Facebook, or retweet it on Twitter to share it with your friends!